Travis is cool. Coveralls is hip. But Jenkins has had this stuff for a while, and more. In addition to running your test suite and generating coverage reports, you can generate checkstyle reports (linting), deploy to staging and production, and utilize Docker containers. The price for all of this is free for your public and private projects. However, the hidden cost is your time. Figuring out how to get this to all to working is daunting when you first get started. Lucky for you, I’ve endured the pain to hopefully make this a fairly simple and straightfoward process. You are using GitHub and git. You can use other services but for brevity, I’m just going to focus on GitHub functionality. You are using a test runner that is able to output TAP. Most popular runners (i.e. mocha, tape) already support this protocol. You are using a lint tool that is able to output Checkstyle reports (eslint and jshint both provide this). 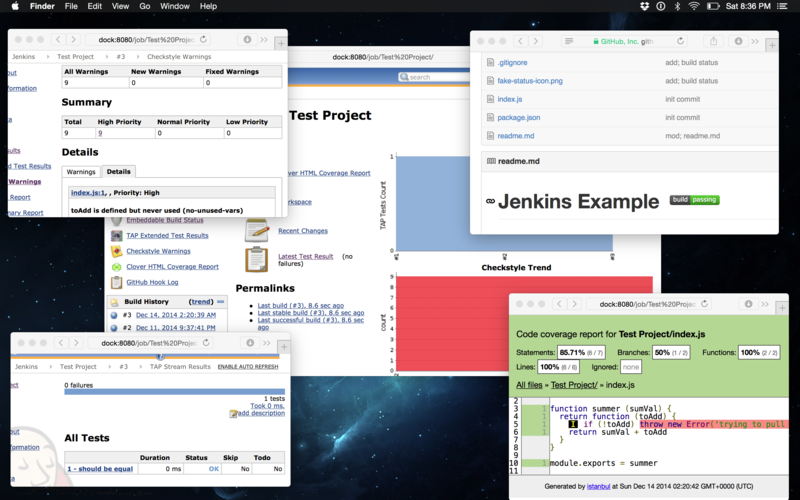 Jenkins is a Java-based software that runs on multiple platforms. 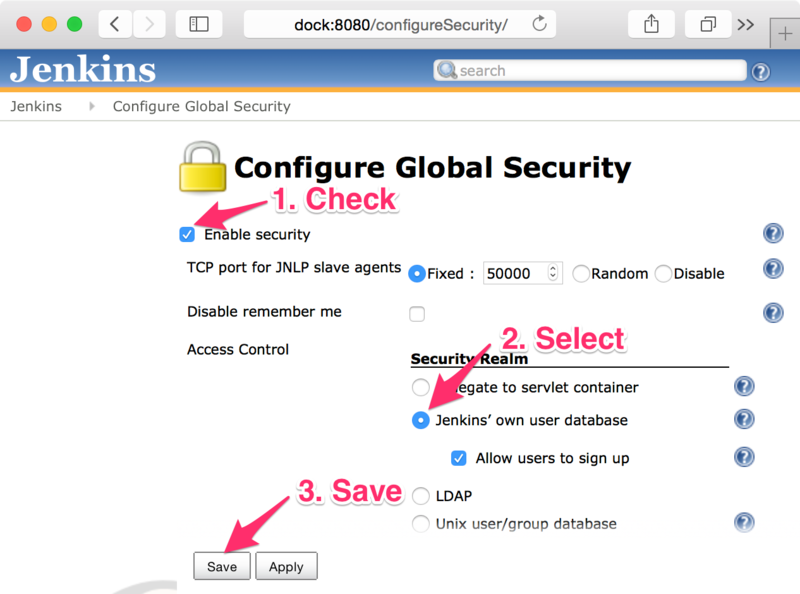 Follow the installation steps for your operating system at http://jenkins-ci.org or use Docker. I recommend installing a Long-Term Support Release (LTS) as plugins tend to be more stable. Once you have installed Jenkins, it’s time to configure it. Let’s make Jenkins secure first. 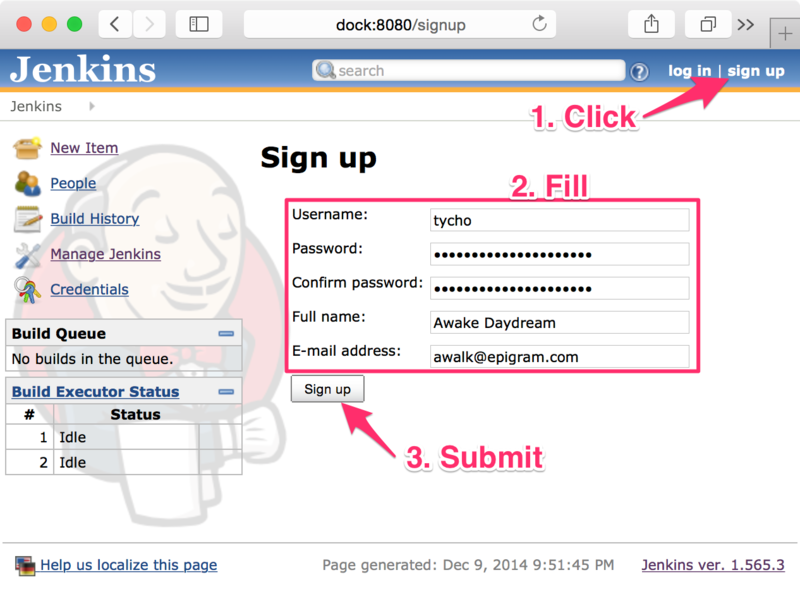 It’s a good idea to lock Jenkins down, especially if you plan on exposing it publically (which we will do in this tutorial). Even private projects will need some endpoints public. I find exposing Jenkins over HTTPS with project-based matrix security settings works the best with plugins and allows the most flexibility. 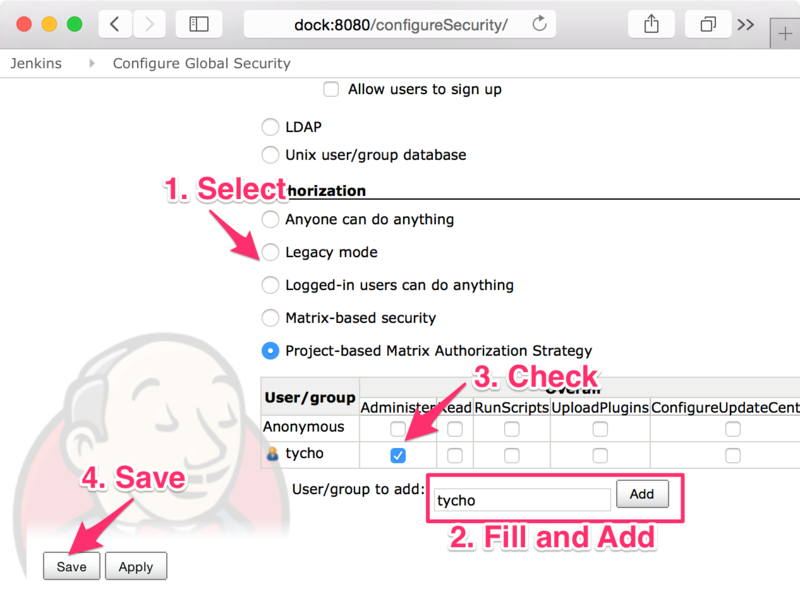 This will allow you to set up anonymous access for public projects and lock down private projects. It also allows you to expose certain aspects publically for private projects like build status badges and hooks for private GitHub repositories. Now we can create accounts, so let’s set up an administrative account. 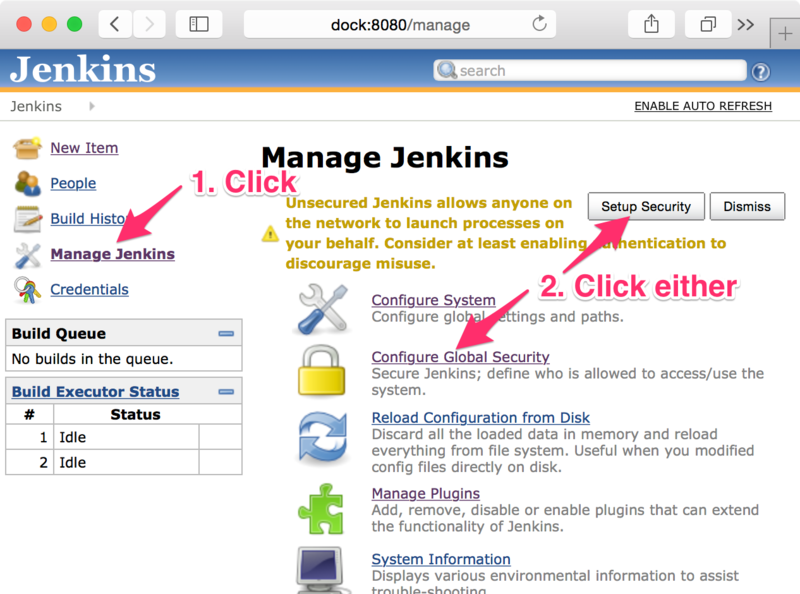 The following steps effectively lock down the Jenkins instance to allow only your admin user to create new users and to view/administer the instance. You can always add more administrators later if desired. Congrats! 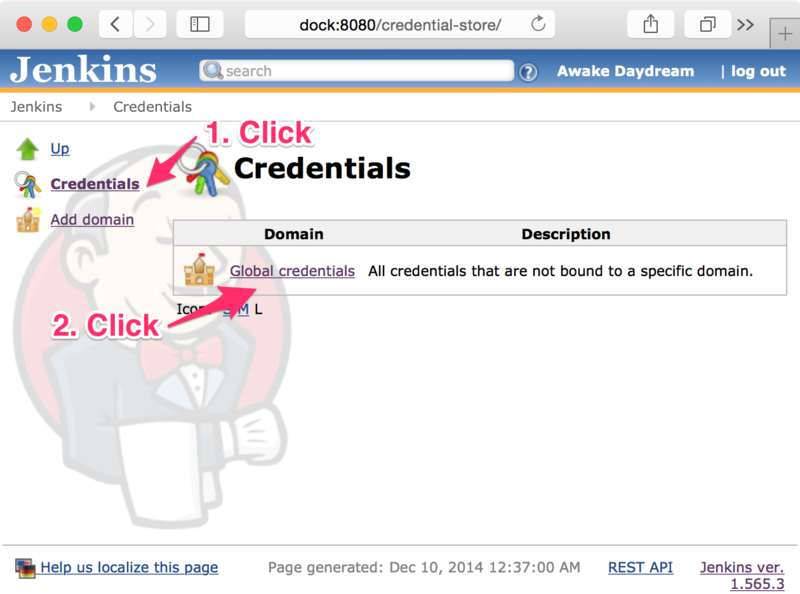 You’ve locked down your Jenkins instance. We’ll tweak these settings again later, but first, we’ll switch gears to explore installing plugins. Jenkins has numerous plugins that enable all kinds of nifty things. You will need a handful of plugins to complete remaining steps in this tutorial. We’ll install them now. You will notice a handful of plugins that you didn’t select will also be installed as they are dependencies. Once all plugins indicate “Success”, you’re done. If some plugins require a restart, you can kick that off by clicking the checkbox at the bottom and waiting for Jenkins to come back online. We have our plugins installed that we’ll need; let’s get configuring! The GitHub plugin will automatically setup the right hooks for you per project based on your GitHub repository through the GitHub API. Let’s configure this next and set up GitHub credentials for cloning repositories. 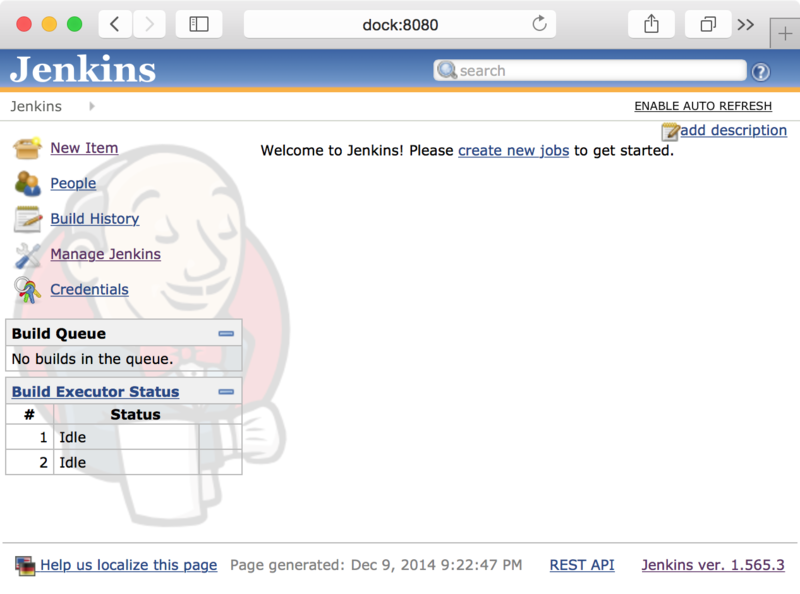 First, visit our now very familiar Manage Jenkins page and select “Configure System”. Then, find the “Jenkins Location” and ensure that it has a public facing URL so GitHub can push events to it. Make sure to save if you make changes. Next, you will need to generate a token to use with the GitHub API. In order to set up the hooks, ensure the GitHub account has administrative rights to the repos. 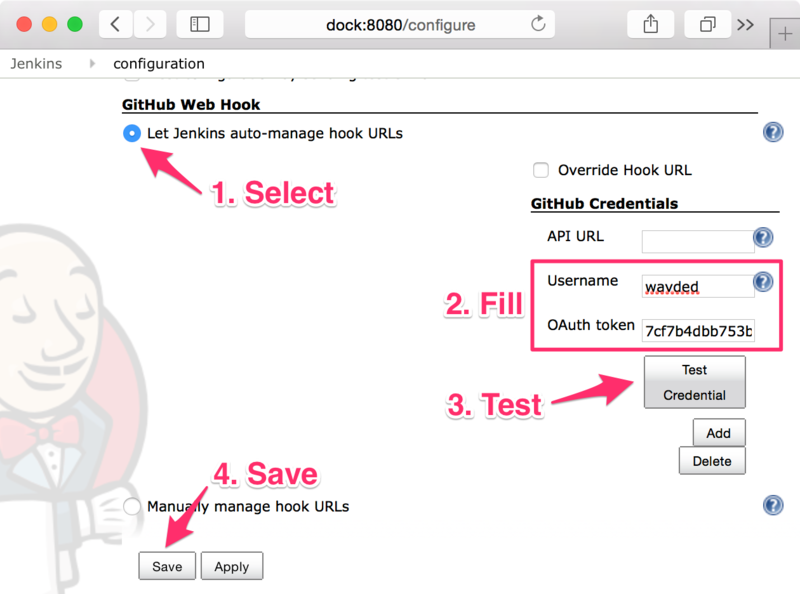 Now, flip back to your Jenkins Configure System tab and visit the “GitHub Web Hook” section and select “Let Jenkins auto-manage hook URLs” (1). 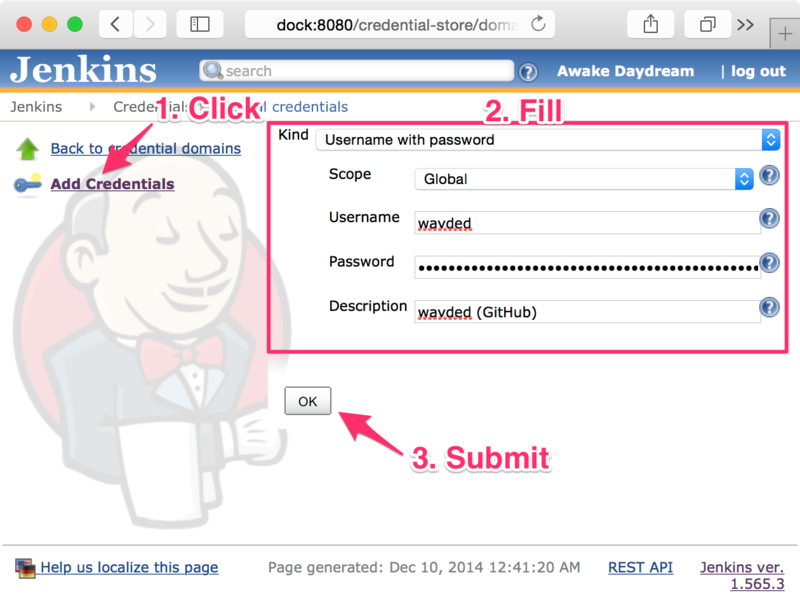 Then, add your GitHub username and copied OAuth token to the “GitHub Credentials” section (2). , click “Test Credential” (3) to make sure everything is working, you should see “Verified” if all is good to go. Lastly, click “Save” (4) to persist the changes. GitHub is now ready to be utilized fully! Let’s get Node working next. The NodeJS plugin allows you to run different projects against different versions of Node. It also handles the installations and writes Jenkins scripts in Node. To my knowledge this plugin only works on Linux. 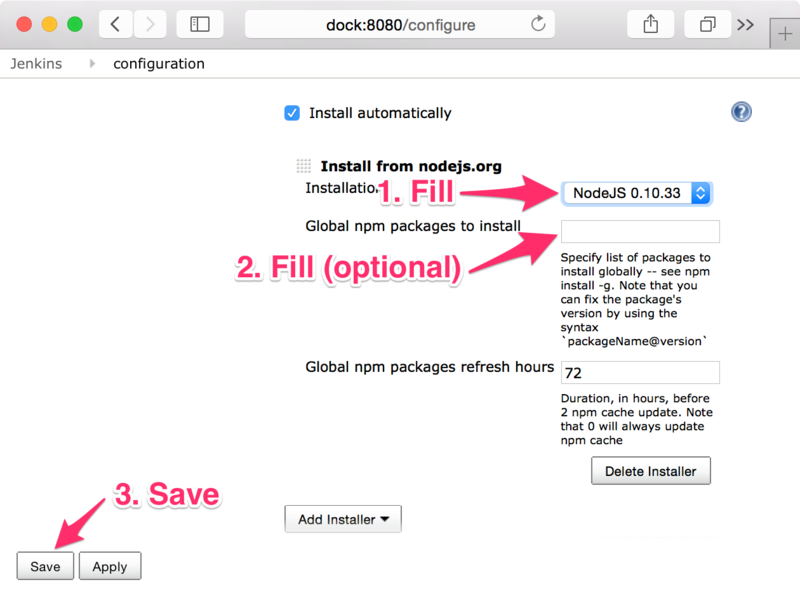 If you use another OS, install Node globally on the same server and make sure the node and npm executables are accessible to the jenkins user. Also, and perhaps more preferable in some cases, you can run a Docker container on Mac or Windows and use this plugin without issue. Node is ready to be used now with your projects. To expose this ability, head back to the Configure Global Security page in Manage Settings and check “ViewStatus” for the “Anonymous” user in the “Job” section. Make sure to “Save” afterwards. From a security standpoint, an anonymous user will only be able to access that icon. Now that we have all the necessary components to get a Node project up and running, we are ready to integrate a project! For that, let’s head over to part 2.